Kawasaki Machinery Industry Co., Ltd. is celebrating its 50th anniversary. We would like to thank all our customers and business partners who made this possible through many years of faithful support. 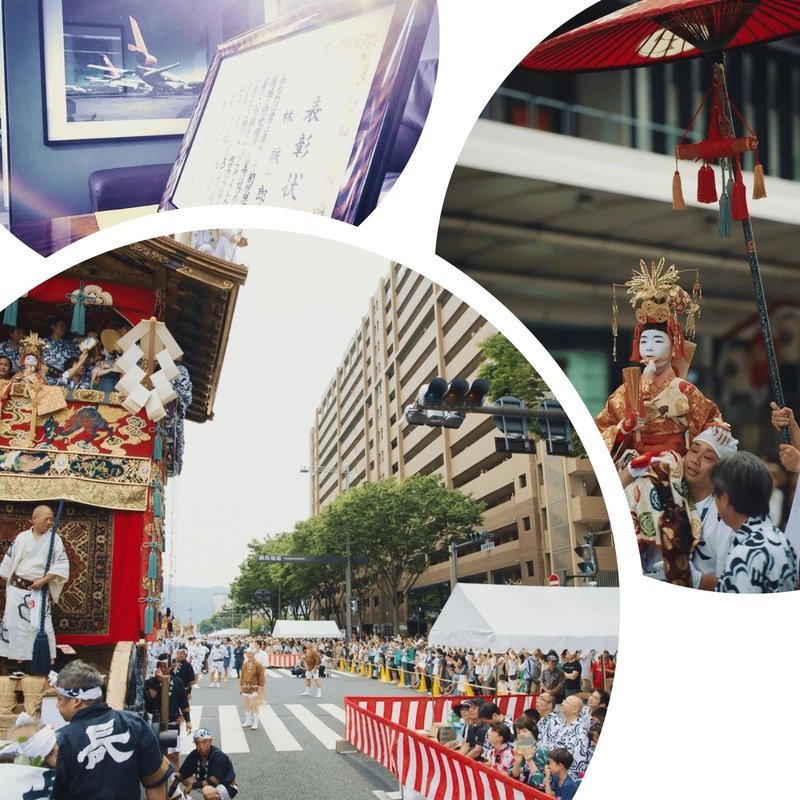 In this memorable year, our company played a major part in the Kyoto Gion Festival – an over 1000 years history traditional event – where we have been granted the role of Chigo for the Naginata float (the first and main float of the procession). Moreover, we received an award from the Nakagyo Tax Association for the role we took part in social contribution. KMI will continue to work actively for the community and the society, and as a manufacturing company, continue to make safe and secure gears.